It’s hard to believe that the 2018 TCM Film Festival is over. My anticipation builds as soon as the weather turns chilly here in Chicago. Dreaming about the film festival and warm days and nights in Los Angeles helps me get through the winter. Plus it’s great reconnecting with friends from all over the country and the world. This year’s festival began for me on Thursday, April 26. Flying out of Chicago’s Midway airport in the morning and arriving in LA four hours later…in the morning! 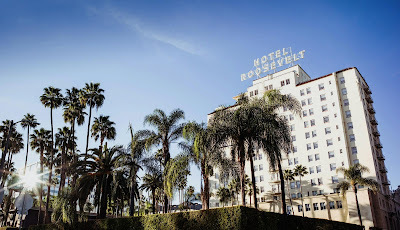 After leaving the airport and heading for the Hollywood Roosevelt Hotel where fellow classic movie fans gather in the Blossom Room—the room where the very first Academy Awards ceremony was held in 1929—to hang out and chat, celebrity watch, and watch everyone arrive. After the couple of hours of meeting and greeting, it’s check in time at the Air B & B; this year barely a block away from the Hollywood Roosevelt Hotel. Score! 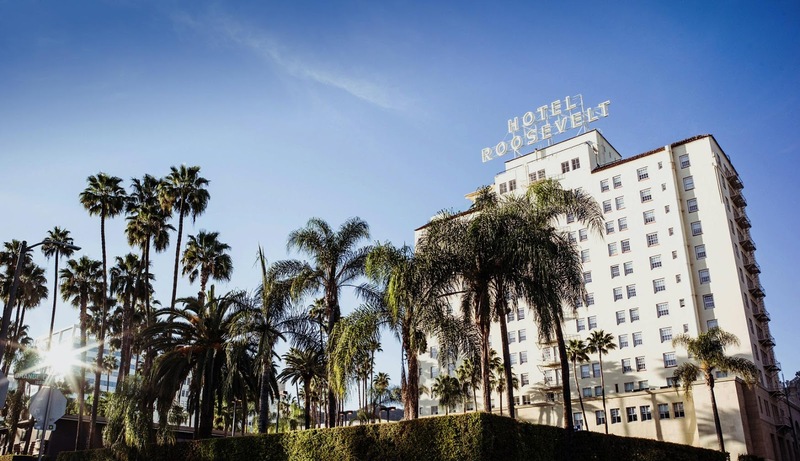 After checking in, it’s back to the Hollywood Roosevelt for the hardest movie trivia game ever, “So You Think You Know Movies,” hosted by Bruce Goldstein, repertory program director of New York’s Film Forum. I think my knowledge of classic movies is pretty good, but every year, this event just crushes me. We assembled a good team, but we came up extremely short. As usual I opted for the Classic Pass, which doesn’t include the red carpet presentation movie (this year Mel Brooks’s The Producers). The bump in price has never seemed worth it and there are plenty of movies to choose from while the celebrities mingle with ordinary folk on the red carpet at the Chinese Theater. 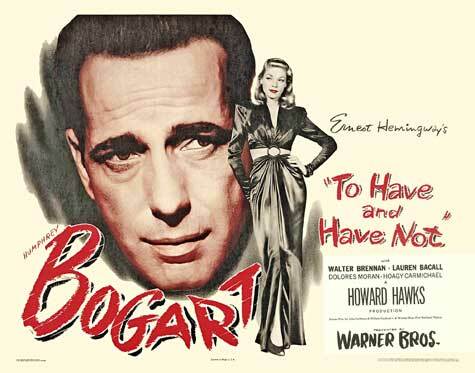 The first movie I saw was To Have And Have Not (1944) directed by Howard Hawks. I’ve seen bits and pieces of this film over the years, but I don’t think I’ve ever seen it from beginning to end. The film that introduced Lauren Bacall to film audiences starred Humphrey Bogart who would end up marrying his 19-year-old leading lady the next year. The 35MM print provided by Warner Bros. Classics looked great on the big screen at the Egyptian Theatre and was the perfect movie to start my 2018 TCMFF. The next movie on my agenda was The Sea Wolf (1941) directed by Michael Curtiz, starring Edward G. Robinson, Ida Lupino, and John Garfield. The supporting cast includes Gene Lockhart, Alexander Knox, and Barry Fitzgerald. Besides being a fan of all three stars, this movie went through a restoration. In 1947, Warner Brothers paired The Sea Wolf with The Sea Hawk (1940) on a double bill. In order to get more screenings in, Warners cut 14 minutes from The Sea Wolf. Those 14 minutes were thought lost forever until a 35MM nitrate print was discovered at the Museum of Modern Art. What we saw at the Chinese Multiplex House # 6 was a beautiful digital restoration that looked brand new. 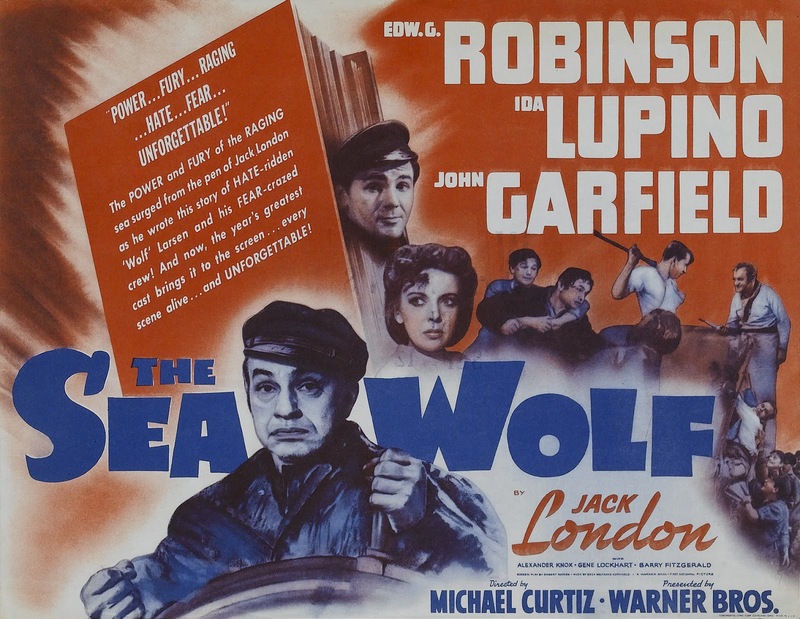 The performances of Robinson, Lupino, and Garfield are extraordinary. Robinson’s performance is especially good; it’s hard to believe he was never nominated for a competitive Oscar—neither was Lupio; Garfield was nominated twice: Best Supporting Actor in Four Daughters (1938) and Best Actor in Body and Soul (1947). By the time The Sea Wolf ended, it was nearly 11:30 p.m. (1:30 p.m. Chicago time!). Time to get some shuteye and plan on what movie to see Friday morning. Here are my three choices: The Merry Widow (1934), Strangers on a Train (1951), and Intruder in the Dust (1949). Which movie would you pick?